As expected, Google is entering the $140 billion video game business with hopes its cloud-based Stadia service will rival industry benchmarks Xbox (Microsoft), PlayStation (Sony) and Switch (Nintendo) among consumers. 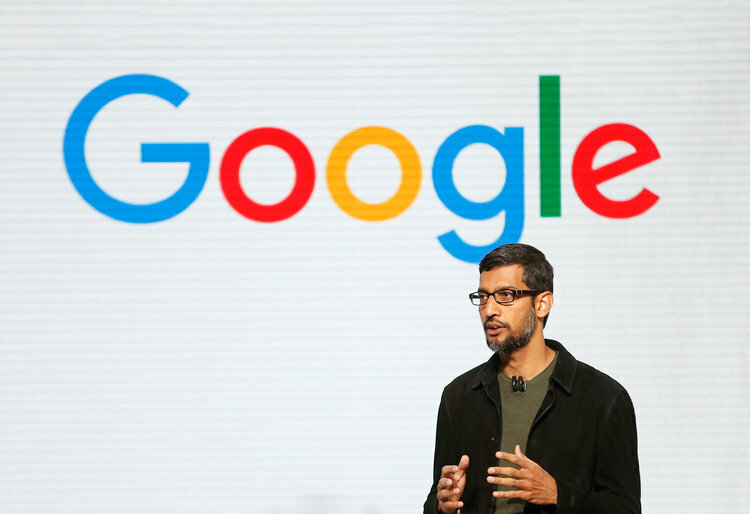 Google announced the new service March 19 at the Game Developers Conference in San Francisco. The search behemoth, which plans to roll out the service and cost details later this year, says Stadia would enable users to play games from major developers on most devices via YouTube. Harrison, who previously held executive positions at Xbox and PlayStation, said Google tested the service (Project Stream) last fall with Ubisoft’s Assassin’s Creed: Odyssey that enabled users to play/stream the triple-A game via Google’s Chrome browser on any applicable device – including smart TV. In a statement, Yves Guillemot, the co-founder/CEO of Ubisoft, said Google’s global expanse would give “billions” unprecedented opportunities to play video games. Nintendo announced that the Nintendo Switch has become the fastest-selling video game system of this hardware generation in its first 21 months of release, citing data from The NPD Group. NPD tracks video game sales in the United States. From its launch in March 2017 through November 2018, Nintendo Switch has sold more than 8.7 million units, outpacing U.S. sales of all other current-generation systems at the same point in their life cycles, according to Nintendo, citing NPD data. Nintendo is also the overall top-selling U.S. software publisher so far for 2018, according to NPD data through November, the company stated. The December release of the Super Smash Bros. Ultimate game has become not only the fastest-selling Nintendo Switch game of all time, but also the fastest-selling game in the “Super Smash Bros.” series, with U.S. sales of more than 3 million units in just 11 days, according to Nintendo’s internal sales data. 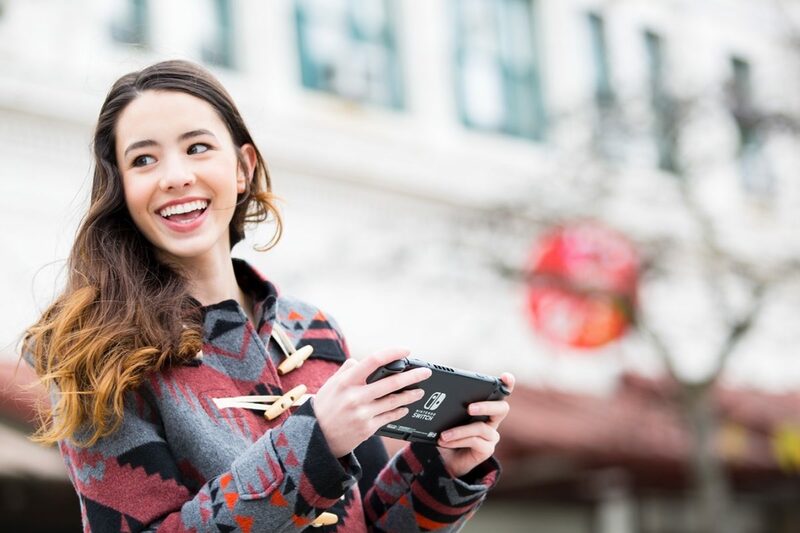 U.S. hardware unit and dollar sales for 2018 are at their highest annual totals since 2011, according to Nintendo, with Nintendo eShop sales growing 105% from 2017. 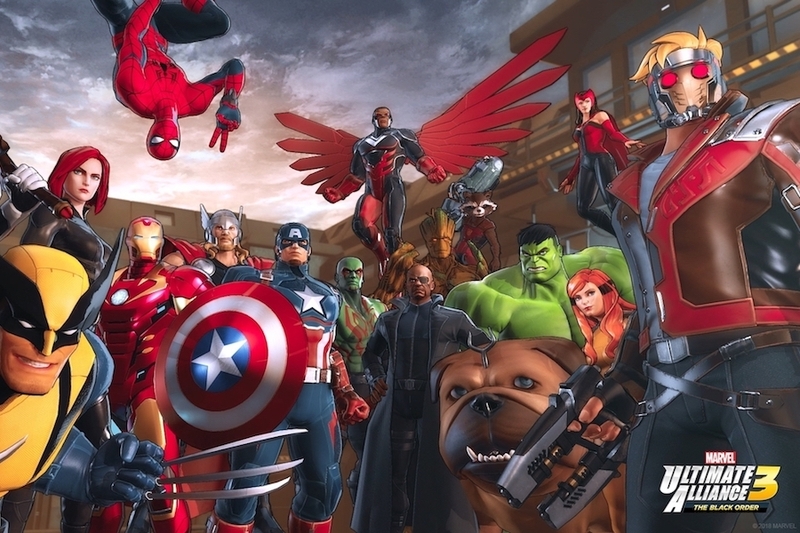 Marvel Ultimate Alliance 3: The Black Order is heading exclusively to the Nintendo Switch video game system, Nintendo announced. Nintendo made the announcement with a trailer shown during The Game Awards in Los Angeles. The game brings together superheroes and villains from across the Marvel Universe to battle for the limitless power of the Infinity Gauntlet, one Stone at a time. The team of characters must use their superpowers to defeat the mad cosmic tyrant Thanos and his ruthless warmasters, The Black Order. The game will feature an original story and a playable cast of dozens of Marvel superheroes, including the Avengers, the X-Men, and — for the first time in series history — the Guardians of the Galaxy, according to the Nintendo release. Up to four players can drop in for co-op battles in a variety of ways: They can play online (through a Nintendo account), link up offline via local wireless or pass a Joy-Con controller to a friend to join the team, according to Nintendo. With another pair of Joy-Con (sold separately), four players can team up on one system. In addition to the series’ traditional perspective, the new entry will let players select a dynamic, zoomed-in heroic view, allowing for a more immersive play style for single-player or multiplayer when using multiple systems. Additional details about the game will be announced in the future, according to Nintendo. Nintendo is working on a new version of the Switch console, according to a report in The Wall Street Journal citing anonymous sources. The new console could be released as soon as next summer, according to the report. The Switch debuted in March of last year. Competitors Sony and Microsoft have each released multiple versions of the PlayStation 4 and Xbox One. 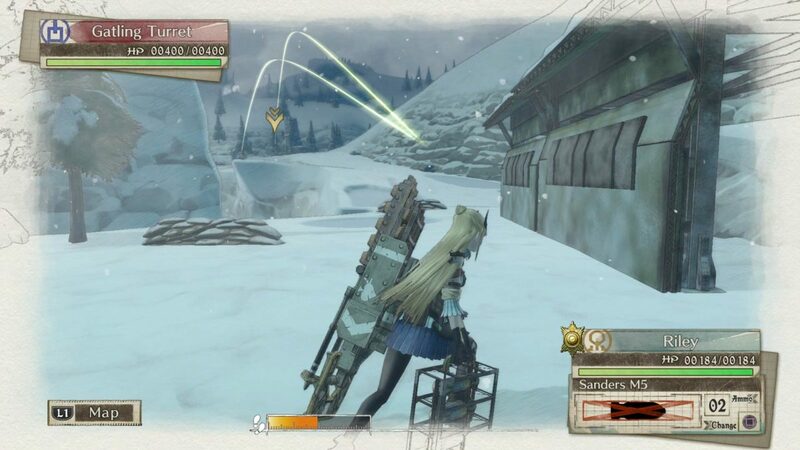 Sega on Sept. 25 announced the release of Valkyria Chronicles 4, 10 years after the launch of the original Valkyria Chronicles, the innovative turn-based strategy role-playing game (RPG). The game lets players experience the other side of the Second European War and its most brutal campaign, Operation Northern Cross. Valkyria Chronicles 4 is available now on Nintendo Switch, PlayStation 4, Xbox One, and Steam. Valkyria Chronicles 4 takes place in the same timeframe as the original Valkyria Chronicles, but focuses on a whole new cast of main characters: the eager young Commander Claude Wallace, engineer/heavy weapons extraordinaire Riley Miller, hotheaded Darcsen Raz, ace sniper Kai Schulen, and others. The next-generation “BLiTZ” battle system boasts several new features, including an explosive new class called the Grenadier, numerous offensive/defensive battleship support options, chances for a unit to have a “Last Stand” action before death, and more..
CANVAS Aesthetics, the franchise’s signature hand-drawn visual style, has been overhauled for the newest generation. “Inspired by watercolor compositions, the CANVAS Graphics Engine blends visual elements of reality and imagination to create an expressive world filled with colorful emotions,” Sega says. Also back is composer Hitoshi Sakimoto, with a new orchestral score for Valkyria Chronicles 4. Sega of America on Sept. 20 announced that the first two titles in its “Sega Ages” line, Sonic the Hedgehog and Lightening Force: Quest for the Darkstar, are now available digitally on Nintendo Switch on the Nintendo eShop for $7.99 each. Sega Ages is a series of classic Sega games developed by M2, the Japanese developer known for high-quality ports of vintage games such as the popular “Sega 3D Classics” series on the Nintendo 3DS. The line is part of Sega’s broader support for retro games, including upcoming releases such as Sega Genesis Classics for Nintendo Switch. Sonic the Hedgehog is the Blue Blur’s debut title. This is where the chase for those Chaos Emeralds started. This new version of the classic video game also adds new features like Drop Dash, as well as the console premiere of the Mega Play arcade version. Lightening Force: Quest for the Darkstar, considered one of the best shooters of its era, features frenetic action and vertical and horizontal scrolling. The new version of the game mixes in a new Styx mode that lets players pilot the ship from its predecessor, plus a Kids mode for newcomers and rankings for the “shmup” elite. 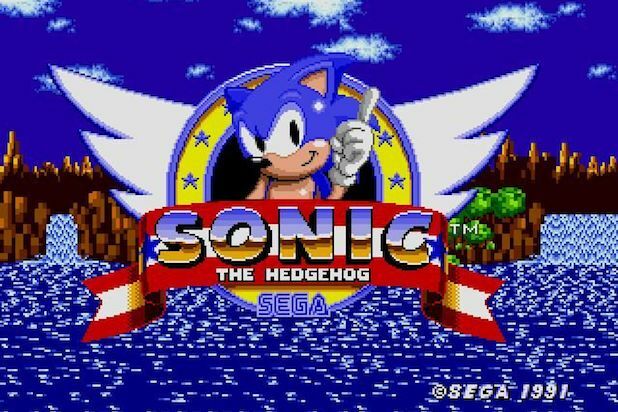 In the coming months, fans of vintage video games will be able to enjoy other classics such as Sonic the Hedgehog 2, Out Run, Space Harrier, Columns II, Thunder Force AC, and Phantasy Star. Phantasy Star is a groundbreaking sci-fi RPG that follows Alis in her planet-spanning quest to avenge the death of her brother and topple a tyrannical regime. Besides faithfully recreating the original experience, this version adds a new map display to help novice adventurers and a compendium where longtime fans can view their favorite monsters. GameStop Sept. 6 reported a second-quarter (ended Aug. 4) net loss of $24.9 million, compared to a profit of $22.2 million during the previous-year period. Revenue was relatively flat at $1.64 billion. The nation’s largest video game retailer attributed the loss in part to a one-stop tax charge regarding operations in France. 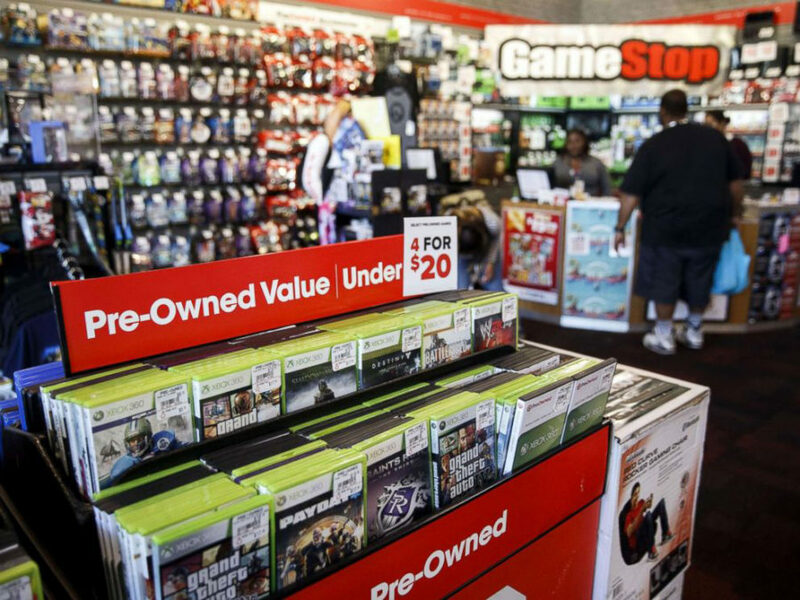 Without the charge, GameStop’s adjusted net income for the second quarter was $4.7 million, compared to adjusted net income of $14.9 million in the prior-year quarter. The company also confirmed that it continues to engage with third parties regarding a possible transaction as part of a comprehensive review of strategic and financial alternatives initiated by the company’s board of directors. The ongoing process includes a thorough evaluation of a full range of alternatives to enhance shareholder value. “As our teams prepare for a busy and exciting holiday period, our board of directors, with the support of our financial and legal advisors, continues to conduct a comprehensive review of strategic and financial alternatives, including, but not limited to, a potential sale of the company,” Dan DeMatteo, executive chairman of the board, said in a statement. GameStop said there could be no assurance that the board’s review will result in any sale of the company. Meanwhile, collectibles sales increased 15.7% to $141.7 million, driven by continued expansion of licensed merchandise offerings, new and improved product offerings and notable growth in apparel. Technology brands operating income increased 35.3% to $20.3 million compared to $15.0 million in the prior-year quarter, despite a 10.3% decline in sales to $168.9 million, primarily due to store closures relative to fiscal 2017. New hardware sales increased 20.1%, driven by the launch of the Xbox One X and continued strong sales of the Nintendo Switch and PS4. New software sales decreased 18.5% primarily due to the lack of significant title launches during the quarter. Pre-owned sales declined 9.9%. 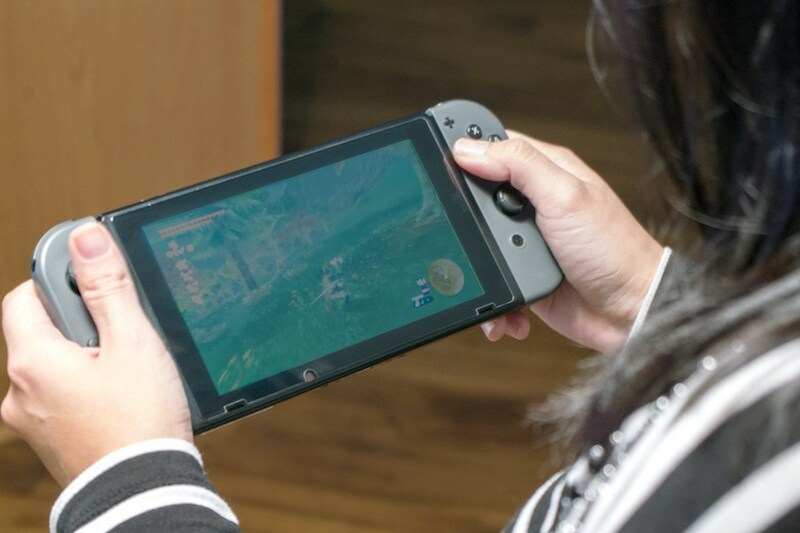 Nintendo late May 7 revealed details about its pending Switch Online subscription service enabling users to play games online compatible with Switch handheld device games. The information follows news incoming CEO Shuntaro Furukawa wants to recapture the Pokémon Go smartphone game craze of 2016 with a new platform of smartphone apps. The platform will also offer classic Nintendo Entertainment System (NES) games with added online functionality, back up save data for most games and use additional features for the Nintendo Switch Online smartphone app that will enhance the online experience for compatible games. Individual monthly memberships will range from $3.99; three months for $7.99 and 12 months for $19.99. Family membership (12 months) costs $34.99, enabling up to eight account holders to use the Nintendo Switch Online service, even on different systems. Classic NES games will initially include 20 games, with more added on a regular basis. At launch, previously announced games Balloon Fight, Dr. Mario and Super Mario Bros. 3 will be joined by Donkey Kong, Ice Climber, The Legend of Zelda, Mario Bros., Soccer, Super Mario Bros. and Tennis. An additional 10 launch games will be announced in the future. Players for the first time will be able to access classic NES games online. Depending on the game, players can engage in online competitive or co-op multiplayer, or take turns controlling the action. Multiple users even watch each other play single-player games online, and “pass the controller” at any time. Every classic NES game will support voice chat via the Nintendo Switch Online smartphone app. It will also be possible to play the games offline. Nintendo re-energized its brand relevance in 2017 with the launch of Switch, the seventh major game console developed by the venerable Japanese manufacturer. Now, incoming CEO Shuntaro Furukawa wants to recapture the Pokémon Go smartphone game craze of 2016 (co-created with Niantic) with a new platform of smartphone apps. Pokémon Go generated $950 million in revenue, of which Nintendo got a 19% cut of total revenue. “From what I can see, smartphone games are the ones I want to expand the most,” Furukawa told Nikkei Asian Review. While Furukawa may be swinging for the digital fences, Nintendo concluded fiscal year 2018 (ended March 31) with a physical media grand slam thanks to Switch and related legacy software. The company reported $9.1 billion in revenue, more than double the $4.5 billion in fiscal 2017. Profit ballooned 36% to $1.3 billion from $940 million. Hardware sales (thanks to Switch) represented 65.4% of revenue compared to 54% of revenue in 2017. Software represented 85% of sales compared to 87% last year. More importantly, digital revenue, which included downloadable versions of packaged software, download-only software and add-on content, generated $557 million, or 17% of sales, compared to $298 million (15%) in 2017. “The idea that something will emerge [in mobile] that transforms into something big, in the same manner as game consoles, is the defining motive of the Nintendo business,” said Furukawa. NEWS ANALYSIS – Best Buy has been a go-to retail source for consumer electronics and household appliances – but less so for home entertainment. That changed in 2017. The Minneapolis, Minn.-based company, which operates about 1,500 stores nationwide, reported a 12.6% increase in same-store entertainment sales through Feb. 3, 2018. 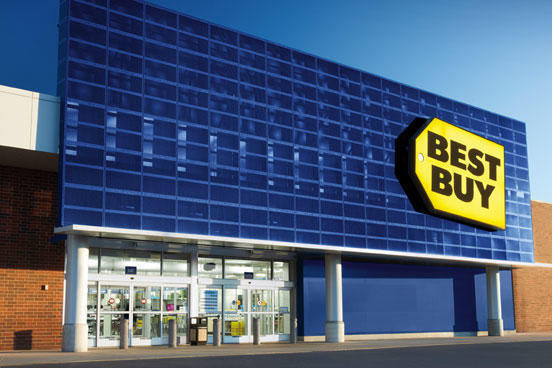 “Comparable sales gain was driven primarily by gaming hardware,” Best Buy said in the fiscal 10Q report. A notable turnaround from fiscal 2016 (ended Jan. 28, 2017), which saw nearly 14% drop in entertainment sales – driven by declines in sales of video games, music CDs and movie DVDs due to continued industry softness. 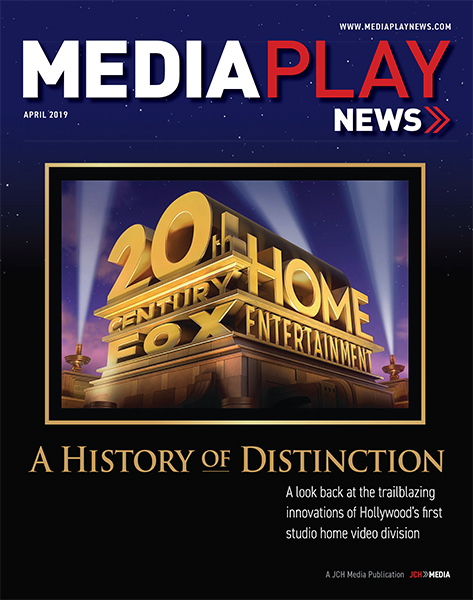 Packaged media’s decline at Best Buy has been ongoing for years. CEO Hubert Joly cut back shelf space on DVD and Blu-ray Disc movies shortly after joining the retail chain in 2012. Billboard earlier this year reported Target would begin selling packaged media on consignment basis instead of buying wholesale from distributors. Best Buy, it said, would phase out packaged music from stores. So, what prompted Best Buy’s entertainment redux? Long-lost video game manufacturer Nintendo, which jumpstarted its relevance March 3, 2017 with the launch of the Switch platform and related software. Switch help Nintendo generate $9.2 billion in revenue in 2017 – up 172% from 2016, with Switch hardware accounting for 60% of sales, according to industry data. That compared to 34% of PlayStation hardware revenue for Sony and 26% for Microsoft’s Xbox platform. “Most remarkable is that Nintendo generated these revenues with hardware and full-game sales only,” video game research firm Newzoo said in a statement. Indeed, Best Buy saw entertainment revenue top 8% ($3 billion) of domestic revenue, up from 7% ($2.5 billion) in 2016. “It’s all related to Switch,” said Michael Pachter, media analyst at Wedbush Securities in Los Angeles.